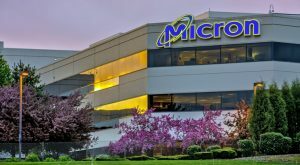 Home / Trading / Trading Advice / Now Is the Time to Cash In the Chips on Micron Technology, Inc.
Now Is the Time to Cash In the Chips on Micron Technology, Inc.
After a major run-up over the past month, shares of Micron Technology, Inc. (NASDAQ:MU) finally look to be running into some difficulty. Micron stock has certainly been a momentum monster recently, rising 16 out of the past 20 days. All good things come to an end, however, especially at such extremes. I look for the recent rally in MU to stall out over the coming weeks. Micron stock has rallied nearly 50% off the Feb. 9 intraday lows of $37.52. The price action from Friday, with MU breaking out to fresh new highs only to reverse course and close lower on the day, points to a reversal day. This type of price pattern is many times emblematic of a short-term top in the stock as buyers finally become exhausted. It is even more significant given the massive rally in Micron stock. Click to Enlarge MU is also getting overbought on a 14 day RSI basis with readings over 70. The previous time Micron stock was this euphoric proved to be a major intermediate term top in the stock. MACD is also flashing a big time warning sign as it reaches by far the most most extreme levels over the past 6 months. The extraordinary ebullience in MU shares has likely peaked with Micron stock poised for a pullback. Earnings are due March 22 for Micron with the whisper number of $2.81 well above the official analysts expectations of $2.69. Due to the looming earnings, MU options that expire March 23 are trading at a much higher level of implied volatility (IV) than the March 29 expiration options. This sets up for a cheap put calendar spread trade that positions bearishly and also captures edge by selling the comparatively expensive shorter term options. Buy MU Mar 29 $52 puts and sell MU Mar 23 $52 puts for a 30 cents net debit. Maximum risk on the trade is $30 per spread. Ideally MU stock closes near the $52 area post earnings on March 23 expiration to realize the maximum potential gain. Article printed from InvestorPlace Media, https://investorplace.com/2018/03/now-is-the-time-to-cash-in-the-chips-on-micron-stock/.